The Macon Mayhem lost game two of the Challengers Round to the Knoxville Ice Bears Saturday evening and their season came to an end. 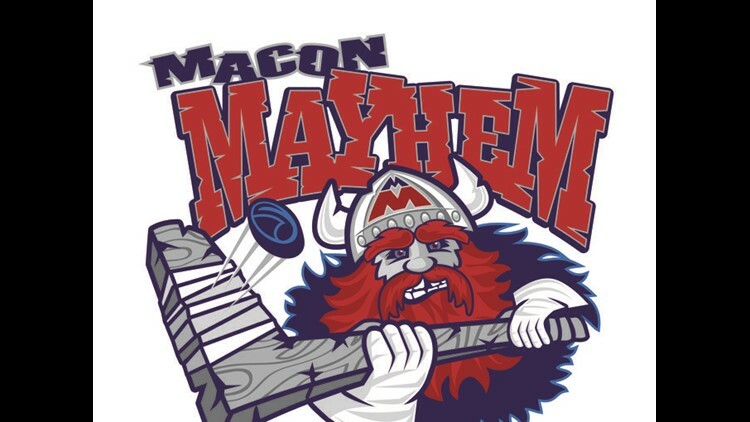 The Macon Mayhem could not get past the first round of the SPHL playoffs as Knoxville swept them 2-0 in the series. The Mayhem dropped game 2 on Saturday night at the Macon Centreplex 3-2. Macon had the lead in the 1st period, as Jake Trask scored the first goal of the contest. But the Ice Bears evened up the game later in the first period. With just 93 seconds left in the 3rd, Knoxville scored the go ahead score to knock out the Mayhem of the playoffs.